The Rainforest Fund (www.rainforestfoundationfund.org), founded by Sting and Trudie Styler, today announced its 21st birthday celebration benefit concert on May 13th, 2010 at the world renowned Carnegie Hall followed by a gala dinner. The evening, sponsored by Almay, is headlined by Sting, Elton John, Lady Gaga and Dame Shirley Bassey, along with other surprise guests and features a live and silent auction at the gala dinner following the concert. Box office tickets will be available mid-April through the Carnegie Hall Box Office or Carnegie Charge at 212-247-7800 or go to www.rainforestfoundationfund.org to download the ticket order form. The Rainforest Fund was founded in 1989 by Sting and Trudie Styler in response to a direct request for help from a Kayapo Indian leader in Brazil who was seeking to protect his people's land and culture. Over the past 21 years, the Rainforest Fund has worked in partnership with more than 100 local organizations in all major rainforest areas and successfully protected over 115,000 sq km of forest. 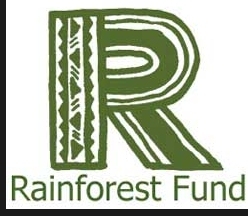 In 2010 the Rainforest Fund continues supporting a range of long term projects including comprehensive policy programs, empowerment of the indigenous groups, mapping of territories, securing their rights, improving forest management, lobbying governments, creating law reform, and developing organizations, with a particular focus on Climate change initiatives. "When Sting and I first visited the rainforest in Brazil around 21 years ago we observed first hand the destruction to one of the world's most precious resources and knew we had to do something," said Trudie Styler. "I'm very grateful for Elton John, Lady Gaga, Dame Shirley Bassey and so many others' continuing support of the Rainforest Fund and helping to raise awareness of the importance of our global environment and take action to help save the planet and prevent further degradation." "Indigenous people are survivors - scattered around the globe, living precarious existences in often remote and inhospitable regions. They are the guardians of their land and environment, both inextricably linked to their culture, spirit, and traditions," said Franca Sciuto, Chairwoman of the Rainforest Fund. "The Rainforest Fund's concert and gala bring together the informed, active general public to support an organization that has been instrumental in giving these indigenous people a voice, and protecting their rights for over twenty years." For gala and super seat ticket information please contact Tamara at Event Associates at 212-245-6570 or rainforest@eventassociatesinc.com. For Sponsorship and In-kind donations please contact Michele Petri at 212-431-9098 ext 5 mpetri@rffny.org. The mission of the Rainforest Fund is to support indigenous and traditional people of the world's rainforests in their efforts to protect their environment and fulfill their rights by assisting them in securing and controlling the natural resources necessary for their long term well being and managing these resources in ways which do not harm their environment, violate their culture or compromise their future; and developing the means to protect their individual and collective rights and to obtain, shape and control basic services from the state. It was one of the first organizations to focus on the vital link between preserving rainforests and supporting the rights of indigenous and traditional peoples who call the rainforests home and have protected them for millennia. The "rights-based forestry" approach sets the nature of the Rainforest Fund's work apart from most other rainforest and environmental organizations. Over the years the Rainforest Fund grew into a small network of 4 independent organizations in the US, the UK and Norway, working collectively in a dozen countries around the globe. Since its founding, the Rainforest Fund US has implemented innovative projects in partnership with indigenous groups and grassroots organizations in Latin America. Our staff works with partner organizations in the rainforest to help indigenous communities gain fundamental human rights, map their territories and file claims for land title, lobby for enforcement of laws and policy reforms, develop local sustainable development initiatives and monitor and manage natural resources.